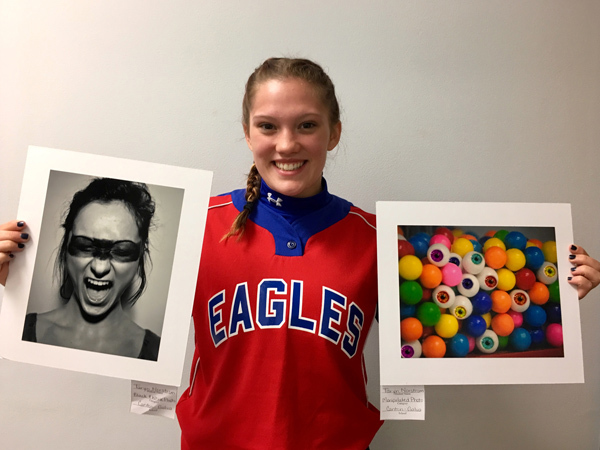 Taryn Norstrom from Canton-Galva High School received recognition in two categories at the Wheat State League Art Contest: first place in Black & White Photography and second place in Manipulated Photo. Art students from Canton-Galva and Goessel high schools participated in the Wheat State League Art Contest hosted April 4 by Elyria Christian School. The contest received entries in 16 of 17 media categories such as drawing, ceramics, painting (watercolor, acrylic, oil), mixed media, sculpture, graphic design, photography, jewelry, fibers and video and animation. Judges selected up to three winning entries in each category, plus additional “Merit Awards” for quality entries. Taryn Norstrom from Canton-Galva received recognition in two categories: first place in Black & White Photography and second place in Manipulated Photo. For Goessel, Dasha Elizabeth Brandt was recognized in three categories: first in Oil Painting, second in Non-Functional Ceramics, and was the top Merit Award student Color Photography. Delica Ewert won first place in Acrylic Painting; and in Manipu­lated Photo. Adrianne Hardey placed first in Color Photography. Juan Agilar placed second in Color Photography and received the third-place Merit Award in Graphic Design. Destiny Johnson received a fifth-place Merit Award in Color Photography. Jenny Horne (left) features her oil painting that received the “Student Choice Best of Show” ribbon as well as a yellow “Merit Award” ribbon. The painting is of a girl sitting next to a lake on a fall night, lighting lotus flower lights and sending them off on the water. 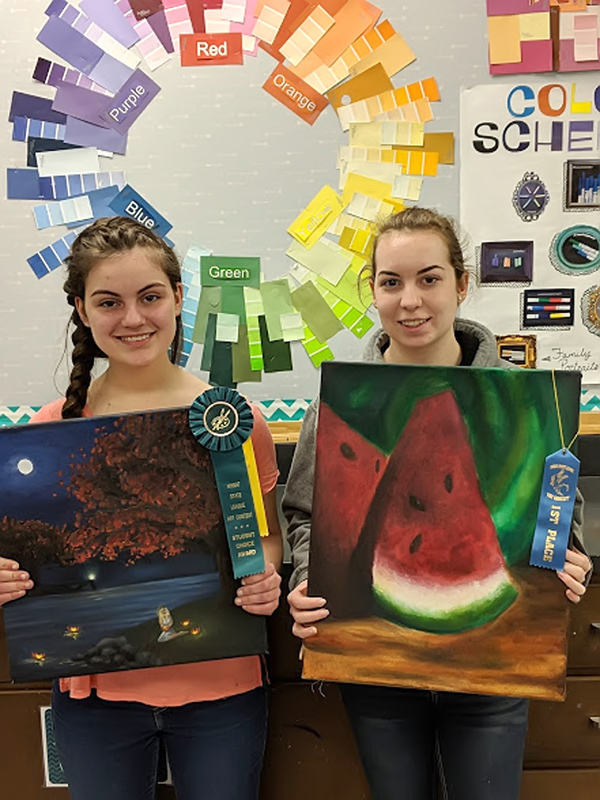 Dasha Elizabeth Brandt (right) holds her first-place ribbon for her oil painting, which is a still life of two slices of watermelon. Jenny Horne was second in Drawing: Black & White; second in Acrylic Painting; third Merit Award in Oil Painting; and received “Student Choice – Best in Show” in Oil Painting. Zack Voth received a fourth-place Merit Award in Drawing: Black & White; and a third-place Merit Award in Manipulated Photo. Madelin Reida placed second in Graphic Design and Nate Zogelman placed third. 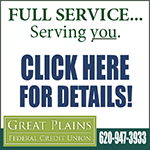 Tate Razor received the top Merit Award in Func­tional Ceramics. Lois Monares place third in Non-Functional Ceramics. Brooke Nafziger placed third in Mixed Media, and received a second-place Merit Award in Watercolor Painting. Kirsten Horne received the top Merit Award in Watercolor Painting. Roy Blosser received the second-place Merit Award in Acrylic Painting. Marina Bidegain placed second in Black & White Photography.